Few kitchen aromas are more enticing than cooking bacon; read the Eater story below to find out why. Yes he did! Morgenthaler, the Portland-based bartender whose self-titled blog is one of the best online cocktail resources, saw the publication of his first book this week, The Bar Book: Elements of Cocktail Technique. As the title suggests, the book focuses not on particular spirits or types of drinks but rather on the techniques of bartending. I read as far as I could get in the free preview on Amazon and am really looking forward to my copy arriving (soon I hope…c’mon Amazon). Also, Portland Monthly has a nice preview, including a recipe for the Pepe Le Moko Grasshopper. Washington Post: “Chicken Salad Sampler: 8 to Try,” by Bonnie S. Benwick. Who doesn’t love chicken salad? It’s the perfect warm weather way to serve cold chicken. The Post offers 8 choice variations here, including traditional Pecan Chicken Salad, adventurous Saffron Chicken, Lemon and Green Bean Salad, and a no-chicken vegan “Tastes Like Chicken” Salad. Washington Post: “D.C.’s Master Sommelier Numbers on the Rise,” by Dave McIntyre. Whether you need a master sommelier to offer you wine as opposed to the regular garden-variety sommelier is probably up for debate, but I do know that when I’ve ordered wines at Range or Aggio with the help of their master sommeliers Keith Goldston and Kathy Morgan, they’ve never steered me wrong. McIntyre writes about how sommeliers with the exclusive certification are on the rise. The D.C. area recently went from having 3 to 5; there are 219 masters worldwide. Eater: “Watch Science Explain Why Bacon Smells So Amazing,” by Erin DeJesus. I know it’s a cliché, but I love bacon. I mean c’mon, it’s amazing. This video focuses on why it smells so good. 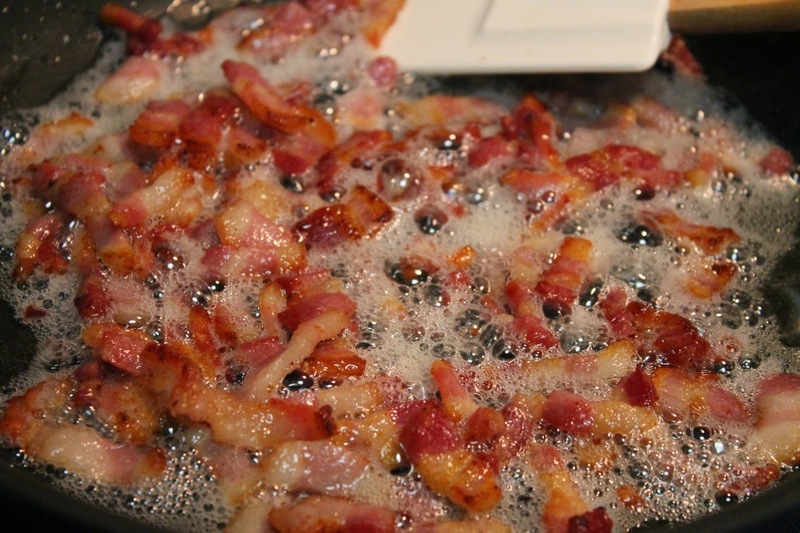 Apparently when bacon cooks it releases about 150 aromatic compounds (sounds like a lot). I kinda want to try the bacon body wash now. Healthy. Delicious. “Smoked Tomato Bacon Vinaigrette,” by Lauren Keating. Speaking of bacon, Keating’s Smoked Tomato Bacon Vinaigrette sounds pretty amazing. Would love to make this for summer salads. The New York Times: “These Chiles? Nothing to Fear,” by Mark Bittman. I’ll admit I get a little scared when I cook with chiles. I like spicy food, but every once in awhile I get a chile that’s too hot (I recently was sent into a fit of hiccups from eating a particularly hot chile at Rosa Mexicano). Bittman’s article has empowered me to charge forth, with tops on “disarming” hot chiles as well as revealing that many chiles from the Yucatan region aren’t spicy at all. Good Food: “When Restaurants Google Customers,” by Inga Ting. Saveur has launched a drink magazine, Saveur Drink. So far, the site has a particular focus on ice and ginger—sounds cool and refreshing.